@wolvergeek Agreed, though some NH Targets have had a few per week. Sometimes I grab them and sometimes not. Another update: the LegolandDC in Assembly Square Somerville, MA had quite a few FO Star Destroyer polybags last night in a tub. I bought a bunch. There was only one Kylo Shuttle, which I got. They claim there are supplements arriving soon, but the two there had no idea what was going on ... didn't know there was an FO Stormtrooper poly with $50 purchases, for example. Ouch. They didn't know about a FO stormtrooper poly because they are not run by Lego, and don't have the same deals as Lego. @wolvergeek Ah. I did not know that. They have participated in certain parallel deals in the past. My bad. Im sorry. I figured if I'm not gaining anything, it was ok.
Don't worry about it. You guys are fine. 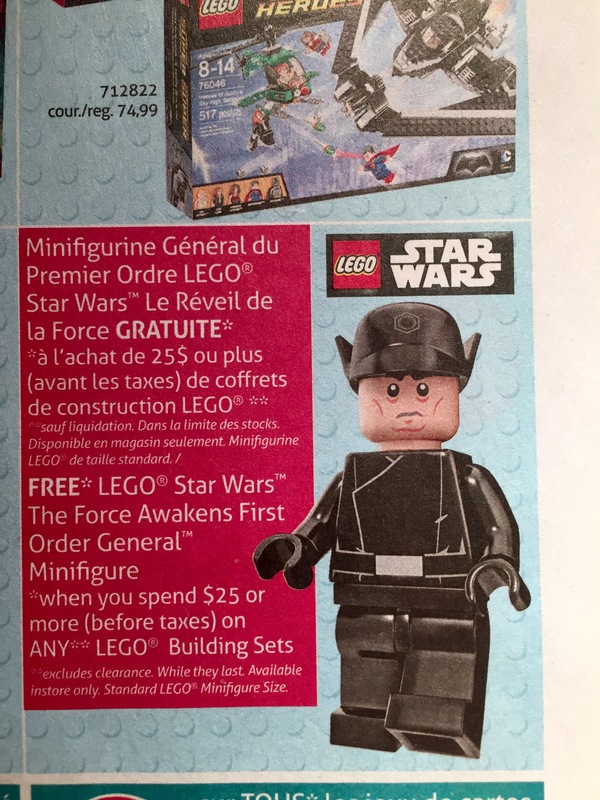 So the First Order General is only going to be available outside the US? Update - not sure about it's US availability, but I have a feeling it will come to the states sooner rather than later. Tonight, someone on Reddit posted that it will be a gift with purchase at Canadian TRU's beginning this Friday and running through next Thursday. Saw this too on ToysnBricks. Was going to post the same thing. I am pretty confident it will make it to the states soon. Where are our TRU inside guys? I did see someone on Reddit post last night/this morning that they got one in Belgium. So he's trickling out slowly. Does this mean your next stop is the "What did you buy today?" thread, were you mention 30 Hulk polybags? 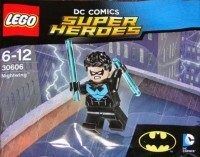 Don't know if this has been mentioned yet, but a friend of mine was told yesterday by a GameStop employee that the Kyle Ren ship polybag will be a free giveaway with a preorder of a Star Wars game. I knew about the Finn poly but not this one. Finn comes with the deluxe version of the game, at all stores. The Kylo Ren poly is a GameStop exclusive GWP with preorders. Thanks. It is generic, it's been used before for assortments including Poe's X-wing. My Target in Eastern NC just got Poe's X-Wings. The TRU near me still has a box of C-3POs. Are the GameStop polybags promotional (buy something get one free) or can you just buy them off the shelf? I've had both. Fortunately dimensions was on 50% both times I had to buy. But I found if you bring a kid, they're more likely to give you one. For some reason a 30+ year old guy running in and asking for Legos is a turn off for most people. I've had no issues, but I usually mention having kids. Just remember some places don't have any left or the employee doesn't realize there are some in the back. I've been told no at a GameStop and gone back another time to have an employee find one in the back. Side note I just saw the Chima Ice Bear Mechs all over the Gulf Coast region Targets and a few boxes of $5.99 C3POs at TRUs in that same area. I have gone in asking for gifts for my kids (worked), saying I was a collector (worked), just asked if they had any (worked). Never had to pay, even though I always offer. My Target switched to 30374 Lava Slinger this week - all the usual SW Advanced Tie polys are gone, and it's Nexo time.